A good end to a Safety Car disrupted @BRDCBritishF3 race for @KiernJ who climbs from ninth to sixth, after falling back in the early laps. 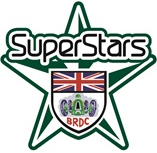 For current lists and profiles of our current BRDC SuperStars and BRDC Rising Stars, please click on the logos below. Follow our young driver programmes on Twitter for latest news from our SuperStars and Rising Stars.